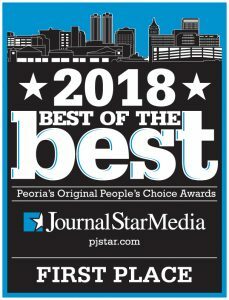 Dr. Kim Springman – Hometown Veterinary Clinic, Inc.
Dr. Springman lives in Peoria with her grumble of pugs – Milton, Mork & Mindy, plus her Great Dane, Magnum, and a cat – Kitty Kitty. She is from New Orleans, Louisiana but has lived in Illinois for over 15 years and considers Peoria her home now. She graduated from St. George’s University School of Veterinary Medicine in Grenada, West Indies. She spent her clinical year of training at the University of Illinois in Champaign. She has been a member of the American Veterinary Medical Association and the Humane Society Veterinary Medical Association since 2004. She is a part of the National Disaster Animal Response Team of the Humane Society of the United States and a volunteer for disasters with the ASPCA. She is very passionate about pet preventative care and enthusiastic about educating clients on pet health. 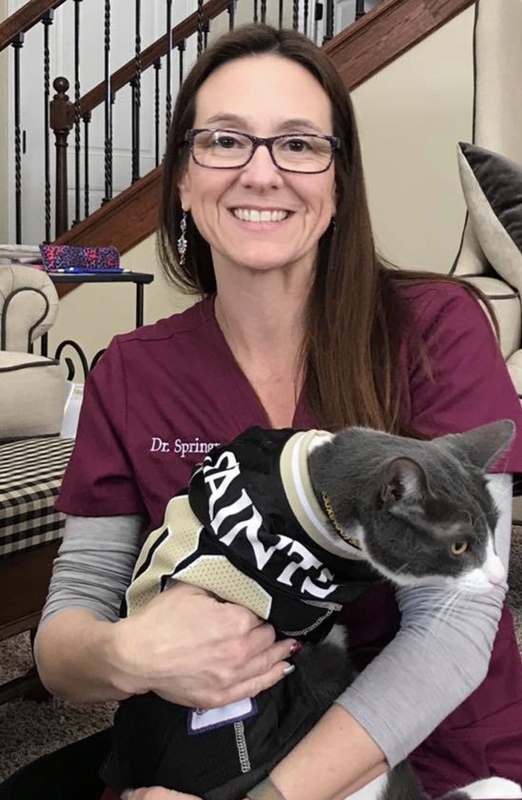 Dr. Springman has 3 other jobs in addition to Hometown Vet Clinic. She is a moderator on Not One More Vet which helps veterinarians struggling with depression and suicidal thoughts. She is a veterinary expert on JustAnswer.com. Dr. Springman also conducts interviews for applicants hoping to attend St. George’s School of Veterinary Medicine. When she gets free time, she enjoys a lazy day on the sofa with her dogs. She also enjoys estate sales, refinishing furniture and collecting veterinary antiques.